Welcome to Sweet Romance Reads! I’m glad you’re here. I’ve been thinking about spring. Wishing for spring. We experienced it briefly and it seemed like it was the real thing. 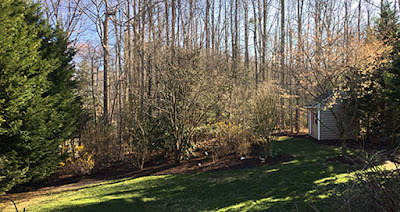 I made plans to have landscaping done, including transplanting some existing shrubs and planting a new tree even though people warned us winter wasn’t finished with us yet. And they were right. Here in Virginia it’s very cold (as I write this on Thursday the 16th). To the north, snow fell this week. For some, it was a bunch of snow. And yet, March 21st is only a few days away. Spring will officially arrive and soon the warmer temps will be here to stay – for a while at least – and then it will be hot and humid and we’ll be wishing for autumn. It’s just a truth of life and how we are as people. We tend to want what we don’t have. Somehow our futures seem so much more promising and interesting than our reality such that we wish away our present. Instead of living in the NOW, we dream of the future. I’m guilty of that and I know many other people who are. Are you? We save for a future vacation while we rush through each ordinary day. We are anxious for our infants to teeth or crawl or walk because others of the same age already are. We struggle through the present working for the future and one day we realize the future has arrived and we don’t know how to embrace it and enjoy it. We look back and wonder why we didn’t see the beauty in the present, in the memories we were crafting at the time, during those ordinary days. 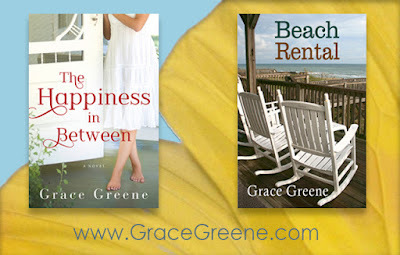 In my most recent release, THE HAPPINESS IN BETWEEN, Sandra Lovett wanted happiness and it eluded her. If she’d found the happiness in each day, perhaps her future would’ve been better sooner. In BEACH RENTAL, my debut novel, Juli lived very much in the now and considered self-reliance to be the most important ideal. Happiness was something she didn’t expect and it didn’t figure into her life, yet when she began to hope for the future, and took steps toward making a more promising future happen, she found joy, unexpected and overflowing. What does all that mean? I don’t know. Maybe it means that the tree the landscapers just planted for me and the bushes they transplanted, should’ve been allowed to wait until the weather was more favorable to their rooting and future survival? Perhaps. Only time will tell. If they fail to thrive I’ll be sad, but I’ll try again and hope to get it right next time. Because, as humans, we may be impatient, but we’re also persistent. It’s who we are. Somewhere along the way we need to be sure to appreciate and embrace the present because, like spring, the future will arrive all on its own and become reality, and we need to understand how to live in it. If you don’t already subscribe to our Sweet Romance Reads newsletter, please be sure to do that while you’re here. You’ll find the signup on the right side of this page. Happy Spring! I'm glad it's coming whether we're ready or not! Happy Spring to you, too, Grace! Grace, thank you for this beautiful message. My word for this year is mindfulness, for the very reasons you've shared. Mindfulness is so important. In fact, I can see how mindfulness (with a minimalist approach to disregarding and discarding the monkey-mind stuff) is critical to a clear head. You can't really live in the day and the moment unless you can trim away all of the other stuff competing for attention. Thank you for the reminder to live in the moment! We live in a world that values multi-tasking so it's easy to lose focus. Grace, happy spring. Thanks for the reminder to enjoy what we have now. Lovely post Grace. Yes, it is so important to slow down and savour the moments in life. I have a 4 month at home and my writing has slowed right down, but that's okay. shes only so little for such a short amount of time. Living in the moment makes you focus on what is important--the here and now. Not always easy to do though.